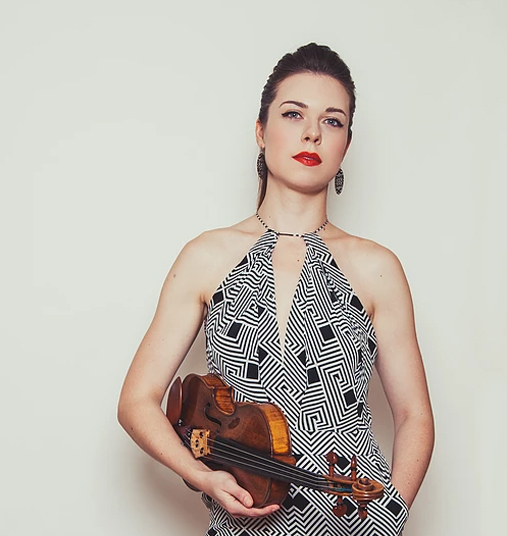 The Borletti-Buitoni Trust announced today that violinist Tessa Lark is a recipient of the coveted Borletti-Buitoni 2018 Fellowship. Born and raised in Richmond, KY, Ms. Lark adds this recognition to her growing stack of impressive awards, which include an Avery Fisher Career Grant and medals at the Naumburg International Violin Competition and the International Violin Competition of Indianapolis. Praised consistently by critics and audiences for her astounding range of sounds, technical agility, captivating interpretations, and multi-genre programming and performance, Ms. Lark has appeared with orchestras throughout the U.S. since making her concerto debut with the Cincinnati Symphony Orchestra at age sixteen. She has since appeared as soloist with the New Haven, Hawaii, Santa Fe, Indianapolis, and Santa Cruz symphony orchestras, among others. As a chamber musician Ms. Lark has collaborated with renowned artists including Mitsuko Uchida, Itzhak Perlman, Miriam Fried, Donald Weilerstein, Pamela Frank, Kim Kashkashian, Peter Wiley, and Ralph Kirshbaum. Keeping in touch with her Kentucky roots, Ms. Lark performs and programs bluegrass and Appalachian music regularly. She collaborated with Mark O'Connor on his 2014 CD "MOC4." She also plays jazz violin, recently performing with the Juilliard Jazz Ensemble at Lincoln Center. She premiered her own Appalachian Fantasy as part of her Distinctive Debuts recital at Carnegie Hall, where she also gave the world premiere of Michael Torke's Spoon Bread, written specifically for her stylistic capabilities. Highlights of Tessa Lark's 2017-18 season include an appearance at Carnegie's Weill Recital Hall as part of APAP's annual Young Performers Career Advancement showcase; a return engagement with the Troy Chromatics Series; a performance with the Carmel (Indiana) Symphony Orchestra that includes the world premiere of Love Letter, written for her by composer and double bassist Michael Thurber; and concerto debuts with the Buffalo Philharmonic, North Mississippi Symphony Orchestra, Springfield (Missouri) Symphony Orchestra, Binghamton Philharmonic, and Boston's Longwood Symphony Orchestra.